Blogging has been a little hobby of mine for nearly 5 years now. That’s a bloomin’ long time. Over that time, there has been a lot of things it’s given me, so I thought today I’d share them with you. Confidence. This sounds a little silly, but over the years I’ve grown to be proud of my blog. For a few years, it was my little space on the internet that not many people knew about, I’d take all my outfit photos in the comfort of my own bedroom with my trusty tripod and self-timer, and I would cringe whenever someone in real life mentioned my blog. Fast forward to now, I’m roaming the streets for outfit photos, posing in public (this still makes me cringe, big time), and openly discussing my blog with everyone I meet. Adventures with Jamie. Jamie has soon become my own personal blogging photographer. With his new interest of photography and videography, we’ve become the perfect pair and blogging has resulted in us searching far and wide for cute new locations to shoot in, which often end up being fun adventures too. Something unique. Although a lot more people are blogging now than they were 5 years ago, it’s still a fairly unique thing for me. It’s something that gives me that edge, and makes me different to other people. For example, it helped me bag my internship 2 years ago, showing a bunch of skills I have that perhaps the average person might not have. Blogging mail and a little bit of money. Let’s not lie, everyone loves a freebie, and lucky for me blogging means I get a bit more freebies than the average person. 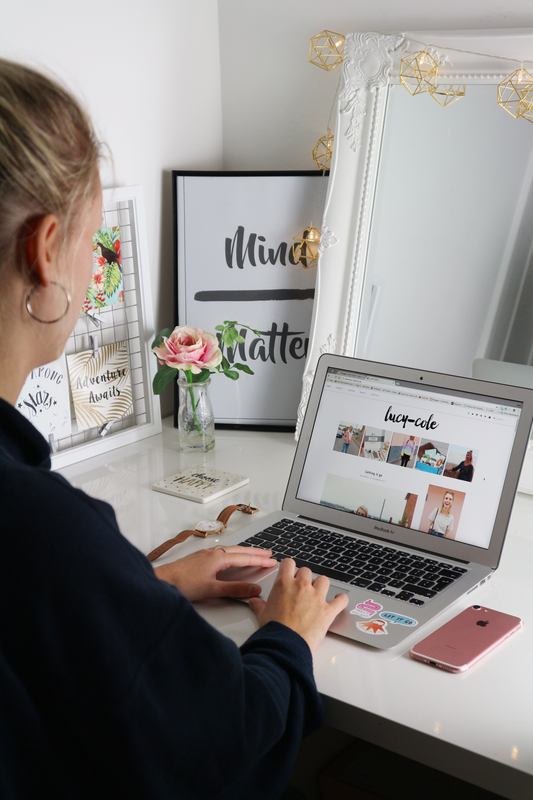 Money is another thing – by no means am I earning thousands on my blog, certainly not enough to be anything substantial, but one highlight of blogging is every now and then I can earn a bit of cash. For me, this money is different to the money I earn from my part time job, and it’s cash I feel a little less guilty treating myself with. Skills. Blogging has opened me up to learning a magnitude of new skills. HTML, photoshop, SEO, writing, you name it, I’ve learnt a lot. Creativity is a big thing for me, despite having a blog, I’m not that creative, but having this space on the internet has given me that chance to work on my creativity. I’m definitely a more skilled person now than I was 5 years ago. "*That* Scarf and Coat Combo"